Carpets get a lot of wear over time in both the home and commercial environments. Our expert and professional Wanstead carpet cleaning team can assist in all types of stains and spillages or just a general clean. We can fit in with your busy schedule and work around your needs. Our E11 carpet cleaners can sort any type of carpet and rug cleaning dilemma at affordable prices. All of our carpet clean packages are guaranteed for your complete satisfaction. We have a range of services and only use the best products and solutions on your carpet. Call us and book an appointment with our dedicated staff that will provide a first class job. Home furnishings and upholstery gets a lot of use in both commercial and home situations. Over time it can get very grubby and dirty. So why not get it cleaned professionally instead of replacing and save some money. Our expert Wanstead upholstery cleaning team will provide a skilled job on all types of furniture cleaning. All of our prices are affordable and won’t break the bank balance. Our E11 upholstery cleaners are fully trained and know what products and techniques to use on your furnishings. We can arrange a booking with our trained upholstery clean team to suit your busy lifestyle. Call us for the full details and let us assist in all of your home furnishings cleaning. Moving home is stressful and there are a lot of things to get sorted during this busy time. Our enthusiastic Wanstead end of tenancy cleaning team can provide a range of useful services to help save you time. Our E11 end of lease cleaning services include an entire house clean, windows or smaller tasks such as dusting and vacuuming. 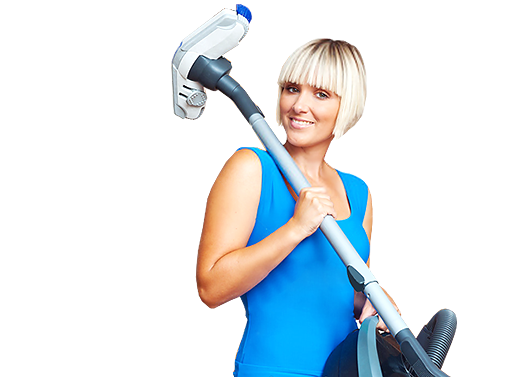 All of our end of tenancy cleaners are fully trained and will do an exceptional job. All of our work is fully insured for your peace of mind. You can book an end of tenancy clean to fit with your busy calendar, and let us take care of it. Call us now and get a quote for our affordable move out cleaning packages. Nowadays our lives are busy with work and family and we all need a little help now and again around the house. Wanstead domestic cleaning has a range of affordable services available that won’t break the budget. Our expert E11 domestic cleaners are fully trained and will do an outstanding job on your home. Our entire home cleaning packages are guaranteed for your reassurance, so you rest assured our employees will take good care of your possessions. Our home clean service is the best in the area and we can fit in with your agenda. So call and arrange a booking for our special domestic clean deal and let our skilled home cleaners do the work for you. Sometimes we need a helping hand within the home, and our expert Wanstead house cleaning team can do just that. Our E11 house cleaners will carry out an exceptional house clean on your home for an affordable price. We can arrange our home cleaning service at a time to fit in with your busy lifestyle, so you can get other things sorted. Our eager home cleaners are a profession team and will do a meticulous home clean that is fully guaranteed for your peace of mind. We have some special deals that won’t break the bank so call us now and make an appointment. Offices need to make a good impression and look immaculate all the time. Our Wanstead office cleaning team can be of assistance with a selection of services that won’t break the budget. Our skilled E11 office cleaners can assist in all types of services such as dusting, vacuuming, and window cleaning. Our trained employees will carry out office clean tasks out of office hours so as not to disrupt your daily business. All of our commercial cleaning is guaranteed and carried out by enthusiastic commercial cleaners. We can assist in industrial cleaning and building cleaning services so no job is too big or small for us. Call us now and book your appointment. Wanstead, Leytonstone, Hackney Wick, Homerton, Upton Park, Hackney Marshes, West Ham, Silvertown Maryland, Leyton, Hackney Marshes, Bow, Walthamstow Marshes, Woodford, Victoria Park, Bow, Barking, North Woolwich, South Hackney, Upper Clapton, Plaistow, Walthamstow, Bromley-by-Bow, Wanstead, Mile End, Custom House, West Ham, Clayhall, Forest Gate, Cranbrook, Walthamstow, Old Ford, Loxford, Leyton, Temple Mills, Redbridge, Ilford, East Ham, Beckton, E11, E13, IG4, E16, E3, E10, E7, E18, E20, E9, E15, E17, IG1 and rest of London as well Outer London and the Home counties. Company name: Wanstead Carpet Cleaners Ltd.